Thread: How do i Reset my KMS password? if i got an account with a KSSN, where's the button to reset my password if i forgot? i found a guide in this forum but it was for the old site. 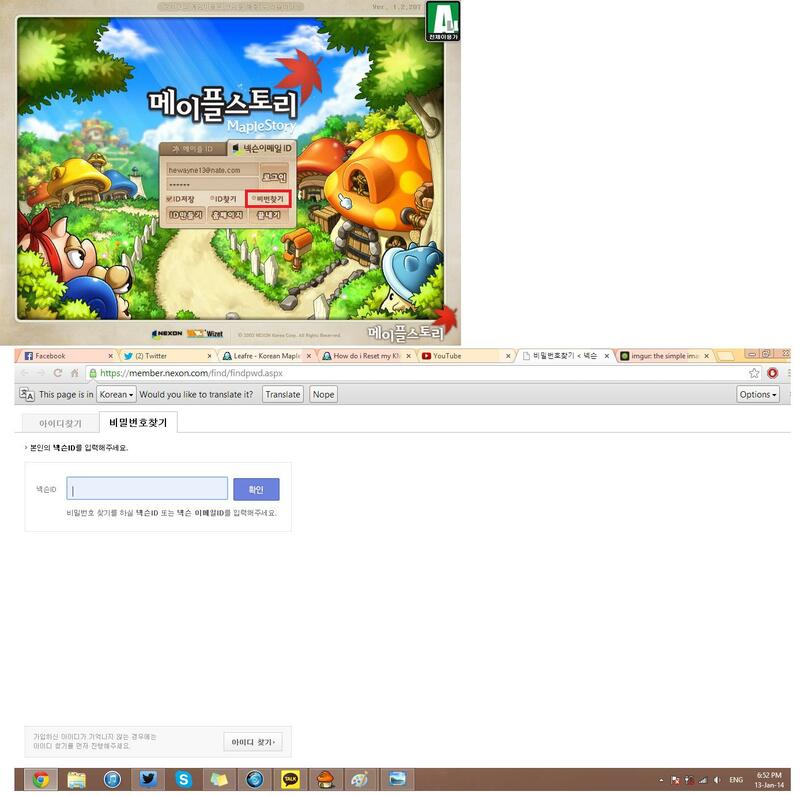 For this guide you need the accounts DOB, Maple ID, Nexon ID and Nexon Password. From what I know you can't just change your password with just the KSSN. Firstly click "ID/PW 찾기" In the login area. Then it will take you to a page with 2 options. "본인 인증" (left) and i-Pin (right). You need to click "바로가기" (blue button) in the "본인 인증" section. The button will open a pop-up window then you will need to click the right tab "비밀번호 찾기"
This is where you will need to enter your information. Lastly, another pop-up will show where you will need to enter and confirm your new password in the two text boxes. Then just click "저장" (blue button) then you're done! Thank you very much, but i forgot my KMS password, how can i type it if i don't remember? The Nexon password is different to your Maple password. You use the password of your Nexon account. Your Nexon account is what you used to make your Maple account. If you didn't make the account try contacting the person who did. Press the button 비번찾기 in the first picture which is highlighted by a red box, then a pop up browser will appear like the second picture, enter your nexon ID/Email there.